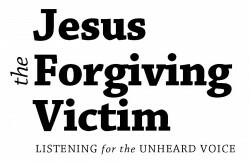 Why Call Jesus the Forgiving Victim? James Alison (b. 1959) is a Catholic theologian, priest and author. He has studied, lived and worked in Mexico, Brazil, Bolivia, Chile and the United States as well as his native England. A systematic theologian by training, James’ has developed Jesus the Forgiving Victim, a program of induction into the Christian Faith for adults, following on from the insight into desire associated with René Girard. He has taught the course, either as a whole or in portions, to small groups around the world over the last fourteen years, and its form and content has been shaped by those experiences. James earned his doctorate in theology from the Jesuit Faculty in Belo Horizonte, Brazil. He is the author of Knowing Jesus (London: SPCK 1992,8; Springfield: Templegate 1993); Raising Abel New York: Crossroad 1996 (2nd edition, updated, London: SPCK 2010) The Joy of Being Wrong (Crossroad 1998); Faith beyond resentment: fragments catholic and gay (London: Darton Longman & Todd 2001; Crossroad 2001) On being liked (DLT 2003 and Crossroad 2004). Undergoing God (DLT (London) and Continuum (New York) 2006) and Broken Hearts and New Creations: intimations of a great reversal (DLT (London) and Continuum (New York) 2010. Editions of some of James books exist in Spanish, Italian, Dutch, French, Russian and Portuguese. Some of his more recent writings can be found in a variety of languages on his U.K. website. Having lived with the Dominican Order between 1981 and 1995, James works as an itinerant preacher, lecturer and retreat giver. He is currently a Fellow, and the chair of the Education Committee, of Imitatio. 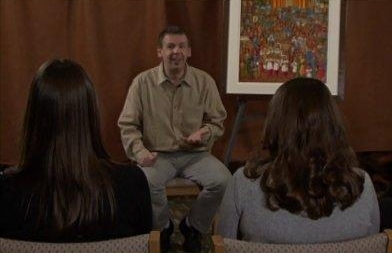 He accompanies a wide variety of publics, through academic lectures, undergraduate, postgraduate and professors’ seminars, adult catechesis courses, retreats for priests, parish groups, and Catholic and ecumenical gay and lesbian retreats. James’ 2012 schedule includes engagements in the US, UK, France, Mexico, Holland, Colombia and Brazil. When not on the road, James lives in São Paulo, Brazil. Invite James to speak to your organization or conference.